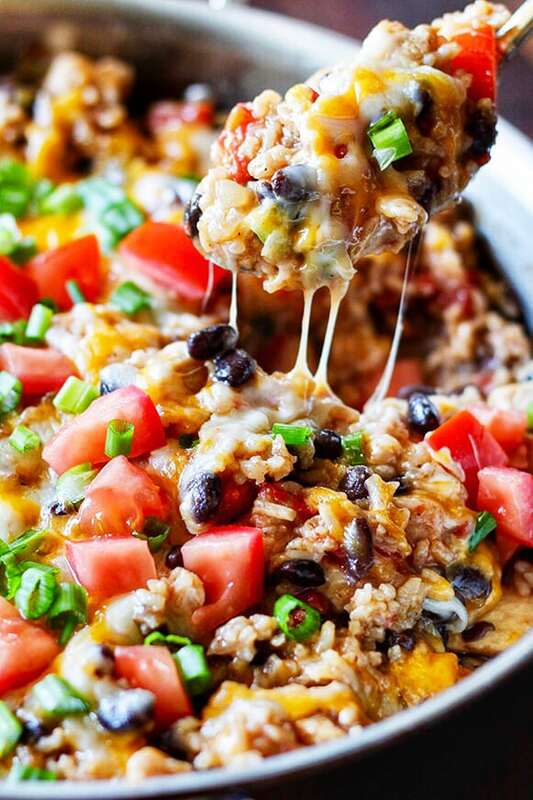 This recipe for Instant Pot Chicken Burrito Bowl is packed with flavor and so easy to make. 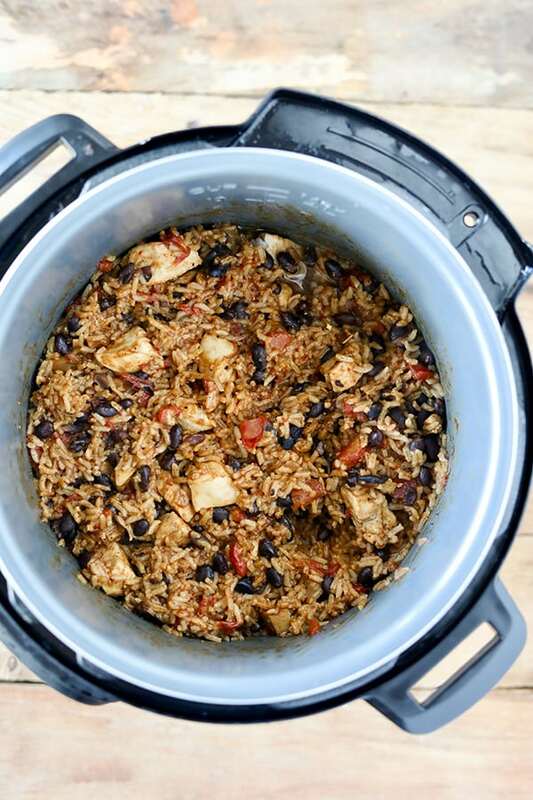 Boneless, skinless chicken breast, Mexican rice, black beans, and tomatoes with Mexican spices. It’s so delicious and the best part is, everything cooks right in the Instant Pot. This better-than-take-out burrito bowl is going to become a family favorite. 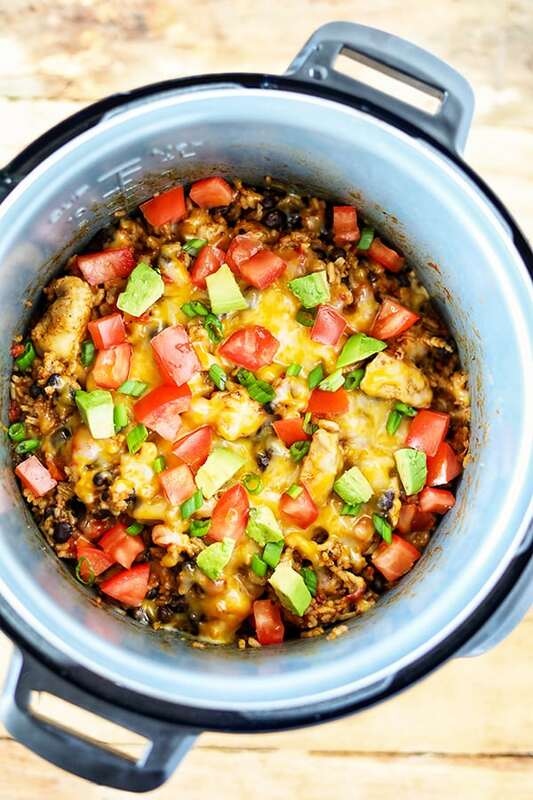 Instant Pot Chicken Burrito Bowl - easy Instant Pot dinner idea! 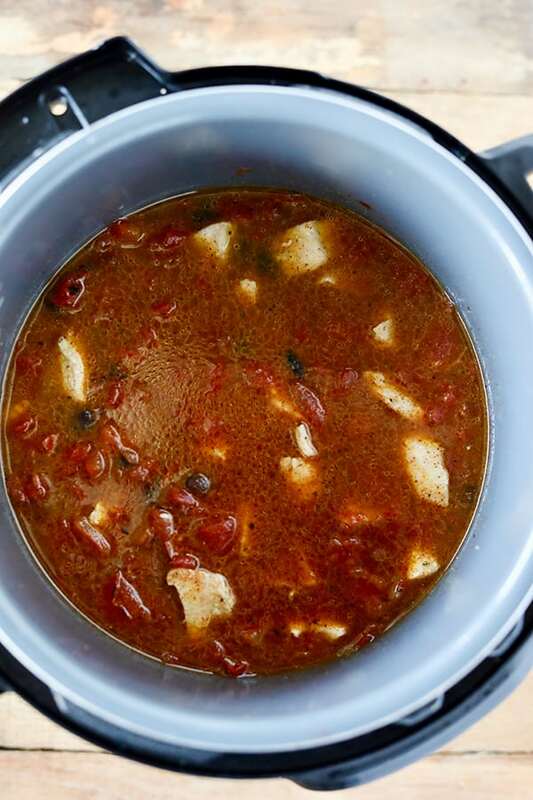 For this recipe, I used the Non Stick Instant Pot Inner Cooking Pot for the 6 QT slow cooker. Currently it looks to be out of stock on Amazon but in stock on the Instant Pot website. I started by browning the chicken on the Saute function set to More (which is the high heat). Just brown the chicken to give added flavor. It doesn’t need to cook through since it will continue cooking in the Instant Pot. There isn’t a lot of surface area for browning in the Instant Pot, so I recommend browning the chicken in two batches. Once the chicken is browned, add onions and let soften 1-2 minutes. Add additional olive oil followed by uncooked rice. Stir to toast rice. Add drained and rinsed beans, drained canned tomatoes, low-sodium chicken broth and spices. Lock Instant Pot lid in place and set to Manual, High Pressure for 7 minutes. It will take about 15 minutes to come to pressure, then countdown from 7. Use Quick Pressure Release, and once pressure pin drops, open Instant Pot and fluff Chicken Burrito Bowl with fork. Top with cheese and recover with lid just to let cheese melt. Top with your favorite toppings. I love fresh tomatoes, green onions, avocado and sour cream. Add 1 tablespoon of olive oil to Instant Pot and hit Saute button, then hit adjust button to set to More. 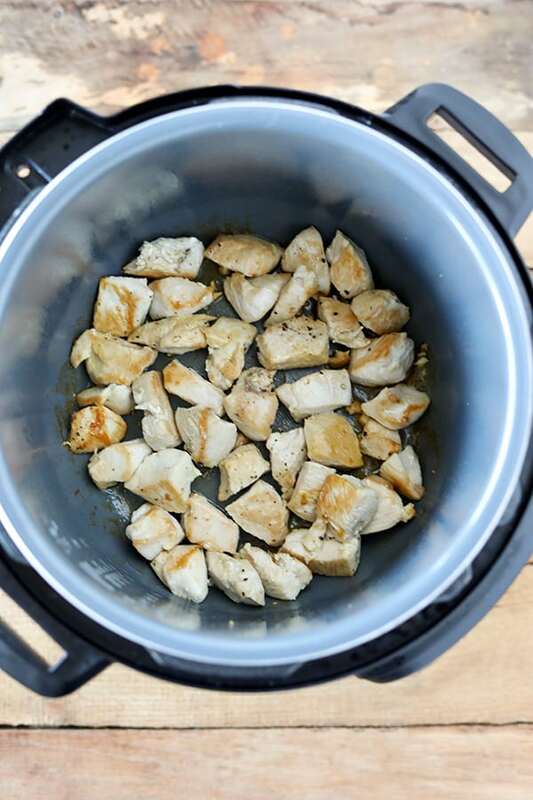 Once oil is hot, add chicken to pot in two batches to encourage browning. Once chicken is browned, add onions and cook until they start to soften. Add additional tablespoon of olive oil and uncooked rice and toast uncooked rice for about 2 minutes or just until some grains start to turn golden brown. Stir in black beans, canned tomatoes, chicken broth, garlic powder, chili powder, paprika and cumin. Lock Instant Pot lid in place and set to Manual, High Pressure for 7 minutes. Use Quick Pressure Release, and once pressure pin drops, open Instant Pot and fluff Chicken Burrito Bowl with fork. Sprinkle with cheese, recover and let set for 2-3 minutes to melt cheese.